On 26 Sept 2016, our health team helped to negotiate medical costs for Maung Si Thu Han, a 13 years old boy, who has been in the Takuapa hospital since 6 September. Maung Si Thu Han is suffering from a serious bone disease and suffered from pulmonary edema (fluid in the lung). Due to this he was unable to walk and to do daily tasks. Maung Si Thu Han didn’t have a health insurance to cover the expenses, and his vulnerable migrant family lacked the financial resources to pay and continue his treatment. Our health team had to negotiate the medical bill, which was already at 37,269 THB. After a great collaboration and understanding with the concerning doctor, the health team was able to agree and release Maung Si Thu Han from the hospital for just 800 THB. 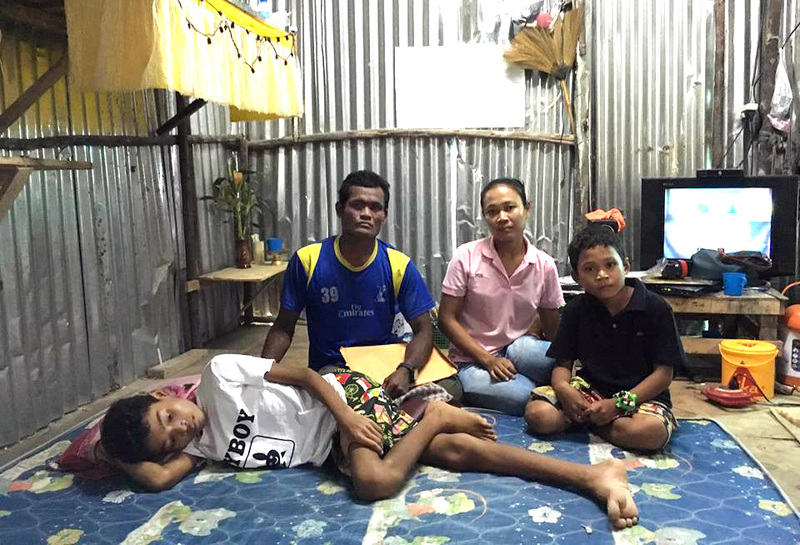 Right now Maung Si Thu Han’s family has decided to return to Myanmar, since they feel that they can’t continue to live in Thailand due to financial problems and their son’s health problem. FED has gathered necessary medical records of Maung Si Thu Han from the hospital and handed it over to him. Those medical records will be helpful when they continue receiving medical care inside Myanmar. FED also prepared travel documents and arranged transportation for them to Ranong-Kawthaung border, so that they don’t get arrested on the way back due to missing or incorrect documents. DISAC also provided 2,500 Bath for their transportation costs.